I got one of these (The LCD!) LCDs from the budget and the motive is to use them to display air quality. Low and behold I got them and these things are tiny… I mean more than I thought. BUT they should get the job done. 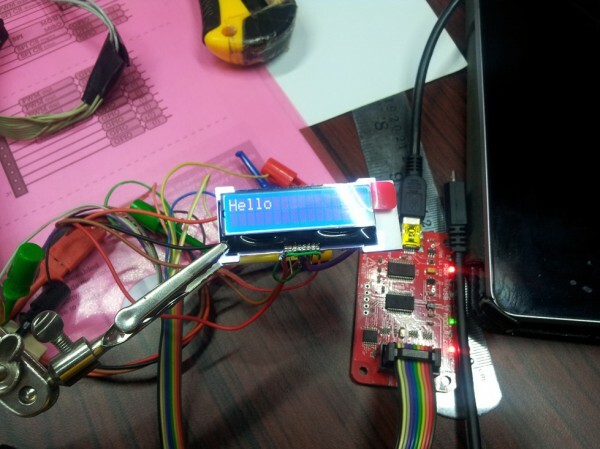 This post is a little one where I try and get it to work and experiment with I2C. Lets go! Get an assembled Bus Pirate for $30, including world-wide shipping. Also available from our friendly distributors. This entry was posted on Friday, December 26th, 2014 at 3:20 pm	and is filed under Bus Pirate, LCD. You can follow any responses to this entry through the RSS 2.0 feed. You can skip to the end and leave a response. Pinging is currently not allowed.